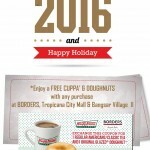 HomeFood & BeverageFREE Krispy Kreme Doughnut Giveaway! 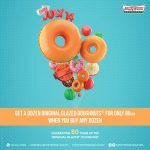 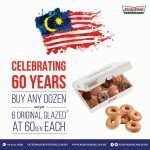 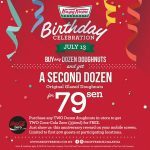 Krispy Kreme Malaysia is giving away FREE doughnut.In honor of National Doughnut Day, on Friday, June 3, stop in to any Krispy Kreme Doughnuts Malaysia for a FREE doughnut – the world famous Original Glazed® doughnut. 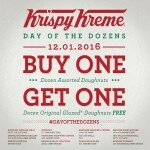 No purchase necessary. 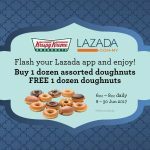 Lazada Baby Fair, Up To 70%off Discount!